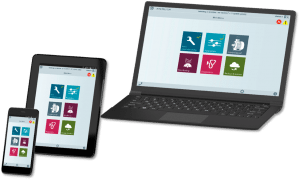 The Siemens SINAMICS Smart Access is a web server module that fits on the front of the drive and allows the user to control the drive via their phone, tablet, or laptop. 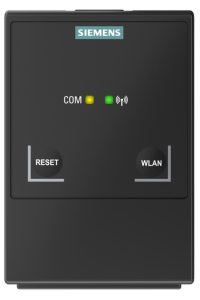 In providing a Wi-fi based hot spot, the wireless connection transforms your mobile device or laptop into a virtual operator panel, allowing control & parameterization without opening the cabinet. With simple configuration, setup and enhanced built-in security, the Smart Access Module is intuitive and easy. Users can quickly connect mobile devices and maintain greater control. Multi-language support including English, Chinese, German, French, Italian and Spanish. Parameters are adjustable for quick setup and the descriptive text view of functions eliminates the need for a separate manual. The Smart Access Module will monitor the drive status which means that troubleshooting is quick and easy. With quick access to product information, documentation and FAQs, downtime is minimized. The intuitive and easy help guidance identifies problems and concerns with minimal disruption while tracking alarms, faults and status. Speed, current, voltage, power, temperature, etc.